Customers can enjoy British tomatoes at Asda all-year-round thanks to innovative light technology, which is tipped to set the precedent for produce across the nation in the next decade. Typically, between December and March, retailer’s source tomatoes from South Africa, Spain or Turkey, but this new technology will lead to thousands more tonnes of tomatoes grown on British soil every year, reducing food miles and ensuring optimum freshness on shelf. To ensure its shoppers receive the best-quality tomatoes possible, Asda’s growers have installed pioneering technology as a new, innovative way of growing tomatoes – using bright pink LED systems. 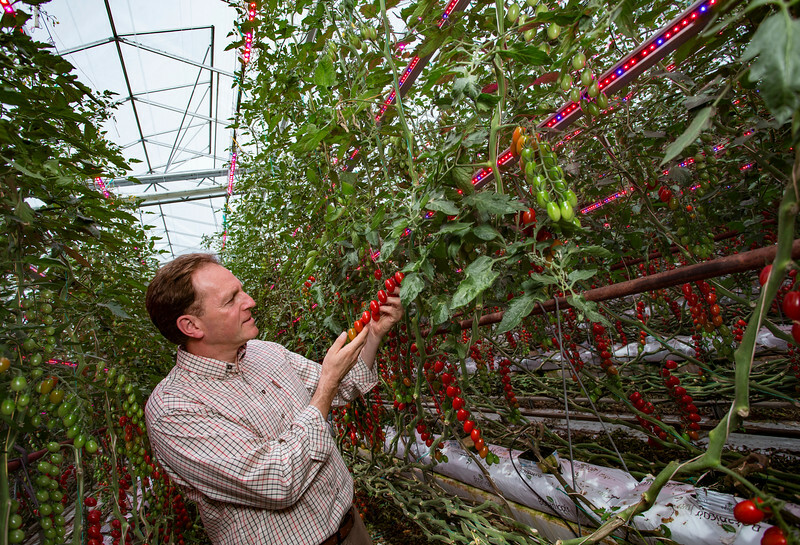 The systems, which are the first to be used in the UK and only the second in Europe, mean the tomatoes can be grown anywhere and in any weather condition. To communicate this story and the advancements Asda is making in produce with the implementation of technology, we will capture photography of the tomatoes grown under the lights and with our grower, Andy Roe.